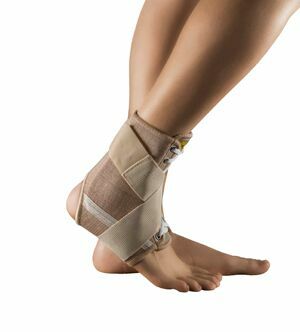 33LIGHT ANKLE BRACE With Bi-lateral Buttresses designed for the treatment and prevention of common or acute ankle injuries. Reduces inflammation and swelling of the ankle joint. Manages chronic pain from injury or surgery. Suitable for the treatment of sprained or strained tendons/ligaments, sensitive ankle joints, instability of the ankle, and arthritis.